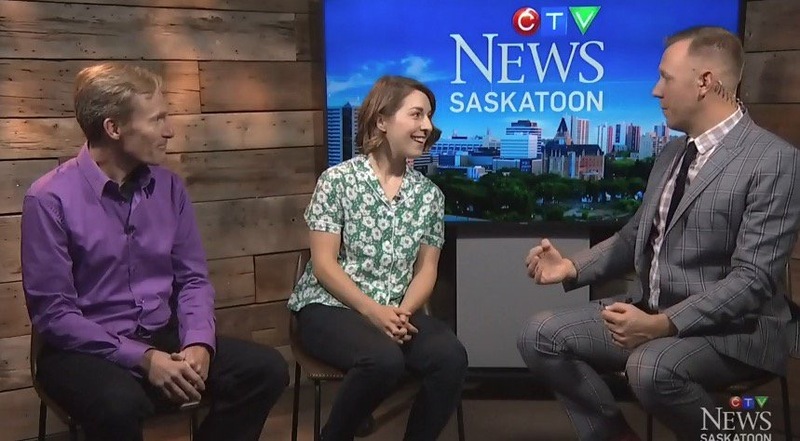 Interview with Jenna-Lee Hyde & Stephen Waldschmidt on CTV News Saskatoon (starts at 17:50). You’re seven years old. Mum’s in hospital. She finds it hard to be happy. You start making a list of everything worth living for. You leave it on her pillow. You know she’s read it because she’s corrected your spelling. An astonishingly funny comedy about depression and the lengths we go to for those we love. All Saskatoon performances will be followed by AfterPlay – an optional discussion with the audience. AfterPlays on Thursday evenings and Saturday/Sunday matinees will feature an expert from Mental Health & Addiction Services of Saskatoon, including Jae Bleakley who uses his lived experiences with bipolar disorder to bust stigma and bring hope, and Wanita Bird, a Substance Use Counsellor and First Nations Mental Health First Aid facilitator. Audience Advisory: Content not suitable for young children.